Your regular coffee maker will appear to you incomplete compared to the coffee makers you are about to get acquainted with. The following artistic, most unusually amazing coffee makers take your morning coffee time to a higher, more interesting dimension. 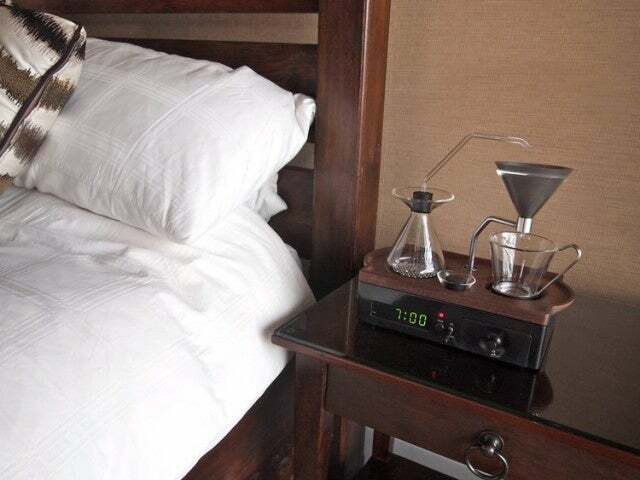 This coffee maker is both a functional alarm clock and aunique coffee brewer. The subtle and silent motion of the coffee maker wakes you up to the fresh, flavorful, unique scent of caffeine. The irreplaceable flavor is accompanied by the smooth, gentle sounds that start once the preparation of your favorite morning beverage begins. 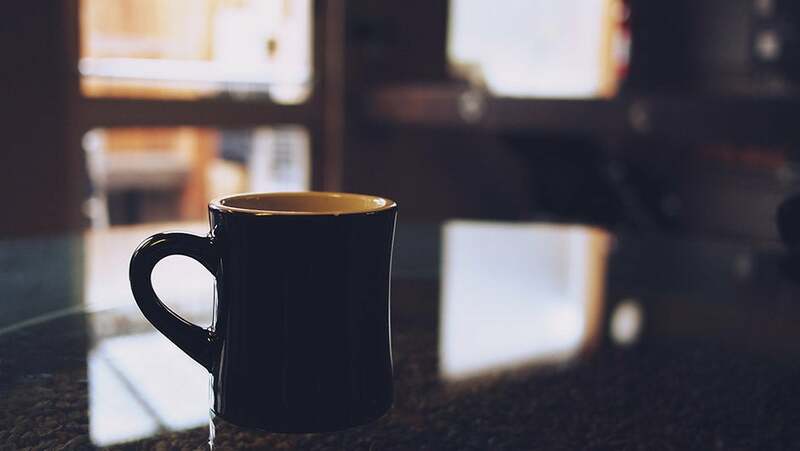 While it requires some preparation before bedtime, saving a couple of minutes before going to sleep to prepare your favorite drink is worth it, as there’s nothing more relaxing than waking up to a fresh cup of coffee in bed. The unusual design of this particular espresso machine will determine you to associate the moment you’re preparing your daily coffee to that of entering-an-unknown, secret realm. This machine is developed according to a unique Italian technique in the 50’s that is meant to offer the ideal aromatic brew. The sleek wood combined with golden steel is not a cheap acquisition, as it is priced at appreciatively $1,700. This particular coffee machine looks nothing like a regular one. You may rather be inclined to associate it with an evil-working machine. The machine is based on a cold-brew technique that requires a unique set of coffee beans. It is genuinely one of the most unconventional coffee makers out there. This coffee machine looks more suited to be placed in a scientific laboratory than on your kitchen counter. It encompasses a couple of glass vessels, one of which is supposed to boil the water for preparing your favorite beverage. The technique used for the preparation of coffee is based on vapor pressure and vacuum. The moment the heat is off, gravity aids to extract the coffee into the lower glass vessel. If you find minimalist and modern designs particularly appealing to your taste, then this coffee maker is perfect for you. 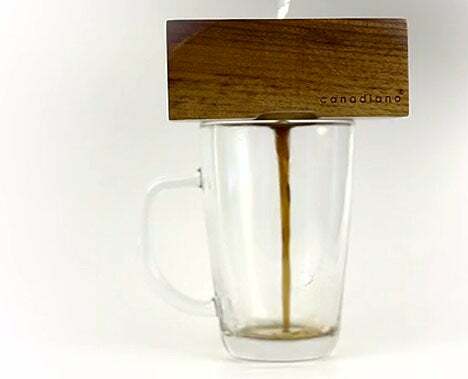 It embodies a brewing device made out of wood that you effortlessly place on the top of your favorite mug. After adding the coffee grounds and the hot water, you will have to wait a couple of minutes for this minimalist brewing device to prepare your most beloved coffee. 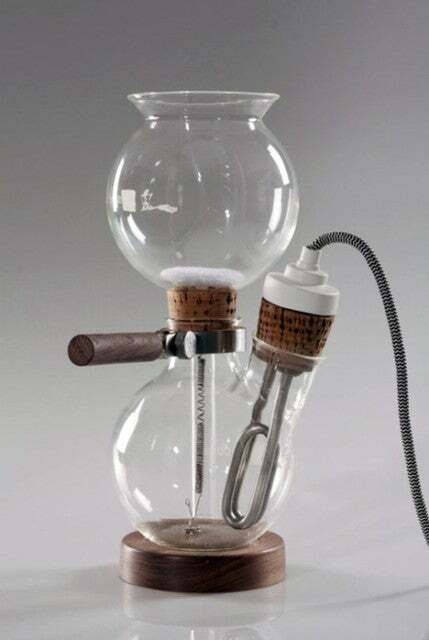 This artistic coffee maker is not only unconventional, but it also looks as it was taken out of a scientific lab. The two transparent containers are meant to prepare either your coffee or your tea the way you love it. As its name indicates, the machine is spill-free. And that’s most certainly something one looks for in a coffee machine, right? The visual presentation of this minimalist, artistic espresso stick is genuinely authentic. This espresso stick encompasses a coffee’s musts including espresso, sugar, and milk, making your coffee time neat and time-effective.